Jullie Allen knew something was wrong on the eve of a major business presentation five years ago. She froze. “For some reason I couldn’t make the changes and I couldn’t figure out what I needed to have in there,” said Allen. She called the client and quit. At 56 years old, it was her first sign that something was seriously wrong. A year later she was diagnosed with Alzheimer’s disease. “When you get the diagnosis the first thing is it’s gone, I’m done. I’m going to sit in a chair, because you think about the old people who are sitting there,” said Allen. The good news is she’s determined not to be one of those people—yet. Tragically, there’s no cure. But Dr. Richard Hodes of the National Institute of Aging within the National Institutes of Health says they are making significant progress. I spoke with him at an Alzheimer’s panel put together by U.S. Senator Amy Klobuchar. He admits there is a long way to go. But Julie Allen is not wasting time. 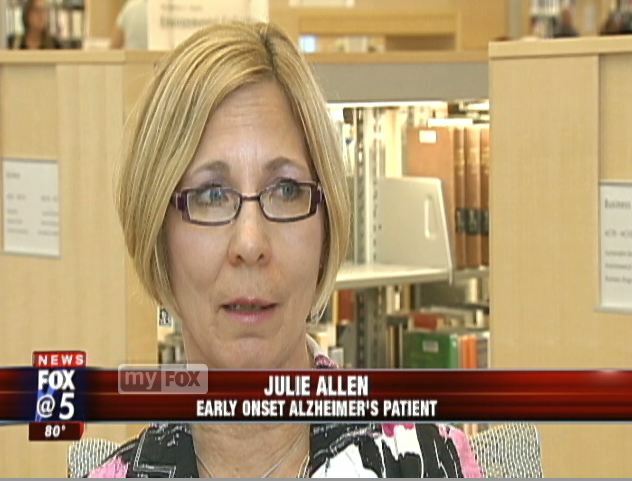 “To live with Alzheimer’s is to just plain live,” said Allen. Abandoned by HP. Reflections of a Palm WebOS User. As a long-time Palm products user, that about sums up my reaction to HP’s sudden decision to trash the products and software that for me always worked and met my personal and business needs. HP’s decision to immediately stop marketing WebOS devices including the TouchPad and Pre smart phones is a blow to every one of us that use WebOS and thought it was a smart and user-friendly mobile platform. A tool, not a toy. 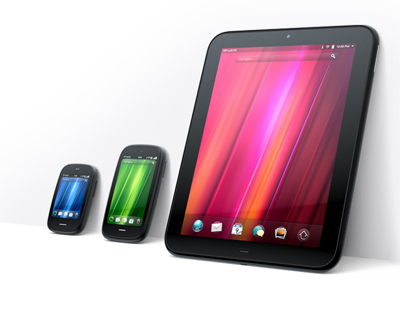 When HP bought Palm last year, mainly for its WebOS software, I cheered. The Goliath HP, I thought, would be Palm’s (David’s) savior by offering superior marketing, merchandising and distribution. The initial signs were promising. When HP introduced the TouchPad tablet and the Pre 3 smart phone in January I cheered again. Then, the wait. It took six months for the TouchPad to appear on store shelves. I’m still waiting to buy my Pre 3. During this time it became painfully obvious that Goliath was a dinosaur. The new Goliath is Apple. HP, the once vaunted innovator had become nothing more than a lost commodities merchandiser. “Consider how HP and Apple faced the changes of the PC market almost exactly ten years ago. On September 3, 2001, HP announced that they would acquire Compac. On October 23, 2001, Apple announced the iPod. HP embraced the present. Apple created the future—mobile. By Acquiring Palm last summer, HP embraced the present one more time. Apple was already working on the iPad2. The lesson of Apple for all of us whether we’re in computers, customer service, perhaps even journalism is that the path to long-term success and profits is to create new categories and dominate them. I will miss my Palm WebOS. It really worked—for me. But alas, by embracing WebOS maybe I too was embracing the present and not the future. Lesson learned. The Iowa Straw Poll is in the record books. Minnesota Representative Michele Bachmann pulled off a victory that three months ago seemed unimaginable. How she beat the likes of established pols such as Ron Paul, Tim Pawlenty, and Newt Gingrich & Company speaks as much to modern product marketing as it does to effective electioneering. Make no mistake, Michele Bachmann is a product with her own unique brand. Bachmann differentiated herself among the GOP presidential candidates as the social conservative with “tude” and conviction. Bachmann called it “authenticity.” Whatever you call it, Iowa republicans bought it. Tim Pawlenty spent two years and millions of dollars in Iowa and in the end all his candidacy sold was canned corn. Bachmann sold Tobasco Sauce. Good brands and good marketers know there are several drivers to bring consumers to your product. In the end, Bachmann won the straw poll on Buzz and Activation. The number crunchers at Google have just released the data on which presidential candidates Iowans searched the web for leading up to the straw poll. Bachmann lead the pack. It wasn’t even close . That’s Buzz. But Bachmann was equally as effective in activating that buzz into votes. Pawlenty may have had a superior tactical ground organization, but lacked the strategy to create any kind of buzz for his candidacy and certainly could not activate enough supporters to vote. Tragically for Pawlenty, he’s finally achieved some differentiation from the rest of the presidential candidates. He’s out.